It’s safe to say that most of us have had enough experiences with online purchasing to know that sometimes, what you’ve selected on a company’s website isn’t always going to be the exact same thing that ends up on your doorstep. This is especially true when it comes to color selection. When it comes to digital display, several factors can affect the way a product is displayed online. Even if the company’s website has accurate colors, the monitor of the shopper may have a different adjustment on his or her screen. That’s why if you’re basing your purchase strictly off color, it’s most beneficial for you to just do in in-store purchase. Yet, for some purchases, this isn’t always possible, especially if you’re ordering in bulk, and especially if you’re in the contracting business. If you’re a contractor or developer buying building materials in bulk, it might be safe to say that you barely have the time to peruse what kind of marble tile would be the best kind to stock in bulk. When you’re purchasing marble tile in large quantities, you need to make sure that what you’ve selected online is exactly what you’re buying. Oftentimes, that may not be the case. That’s why Nalboor Tiles, a wholesale distributor of natural stone tiles located in South Florida, offers all potential buyers a free sample of any type of natural stone product they have to offer. Nalboor understands that stocking marble tile—or any kind of natural stone for that matter in bulk can be quite costly—even though you may be saving your company hundreds of dollars, there are still some precautions that you have to take when making such a purchase. First, you need to determine what kind of marble you want to stock. Secondly, you need to be able to verify that whatever type of marble tile you choose is going to be kind you get! This may sound like an unnecessary step, but when it comes to purchasing building materials for your company, you don’t always have the luxury of returning your merchandise to sender because there’s a crack or it’s just altogether shattered. You may most certainly be able to do this, but not have the time to do all of the back and forth if you’re on a schedule with a hard deadline. Building construction projects need to run like clockwork, and if one thing doesn’t arrive on time, or you’ve received the wrong type of tile, that can throw the whole thing off schedule. This can all be avoided by simply ordering a sample of the kind of marble tile and natural stone that you want to stock. With Nalboor, you don’t have to worry about choosing the wrong type of marble tile or natural stone. We stock only the premium selections that buyers demand the most. The name itself even provides a warm and cozy feeling! This polished straight edged natural stone’s main colors are brown, beige, and cream creating an overall brown tone to the tile’s surface. The natural display of cream overtones brings a bit of a lighter tone to the tile, overall making it compatible with other types of designs. If you’re interested in getting a closer look at Adalia Cappuccino, order a free sample from Nalboor Tiles here. Nalboor Tiles offers this particular natural stone in 18″ x 18″ x 1/2″ starting at $3.95 per square foot and 24″ x 24″x 5/8″ starting from $4.95 per square foot. This tile is best used for upscale dwellings like department stores, or other high-end establishments. This tile also has a polished surface and straight edge finish. With its primary colors being a milky white, the grey veining softens the brightness of the tile, giving it a metro, contemporary look. If you choose to purchase your Bianco Dolomiti from Nalboor Tiles, you can also purchase a free sample here. Nalboor Tiles sells Bianco Dolomiti in 5 different sizes starting from $6.95 a square foot. The sizes range from 12″ x 12″ x 3/8″ to 36″ x3 6″ x 3/4″. To get a full list of Nalboor’s Bianco Dolomiti inventory, visit their webpage here. If you like Bianco Dolomiti, but prefer a warmer tone, then what you might want to consider is the Crema Bella marble tile. Adhering to the same color tone as Bianco Dolomiti, Crema Bella has a slight hint of beige embodied in its make-up bringing about a smoother movement of the overall pattern while softening the look. Nalboor Tiles offers Crema Bella in 3 different sizes starting as low as $3.50 a square foot. You can order your free sample of this kind of tile here. The Crema River tile often gets confused with the Crema Bella—just by the name alone, and also by its overall look. Crema Bella is like a hybrid of Adalia Cappuccino and Crema Bella. If you’re looking for a marble tile with a warmer tone, but wish to go a little lighter—but not too light, then Crema River is the perfect choice for you. This tile is considered the most neutral of all Nalboor Tile’s marble tile inventory selection. You can purchase your stock of Crema River at $3.95 a square foot at one size: 24″ x 24″ x 3/4″. Order your free sample of Crema River here. This particular type of marble is probably the kind that you’d be most familiar with. With its main colors of cream and ivory taking up most of the tile’s real estate, hints of beige veining spike throughout its surface giving it a classic and timeless look. Nalboor Tiles’ inventory of Crema Marfil comes in 3 different sizes starting off at $3.95 a square foot. 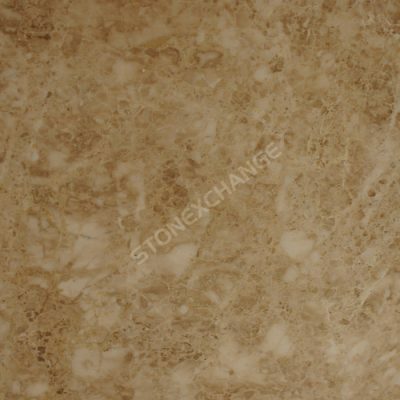 View the list of different sizes of this type marble here. After you’ve gotten your free sample, contact Nalboor Tiles to place your order today, or call 1-305-501-4548 to speak to one of our representatives.